I pretty much said good-bye to my real fur coats the day I moved to LA over six years ago. There is really no reason to buy the “real thing” anymore (they are frowned upon here in some of the west side areas) with so many incredibly chic faux fur options to choose from these days. 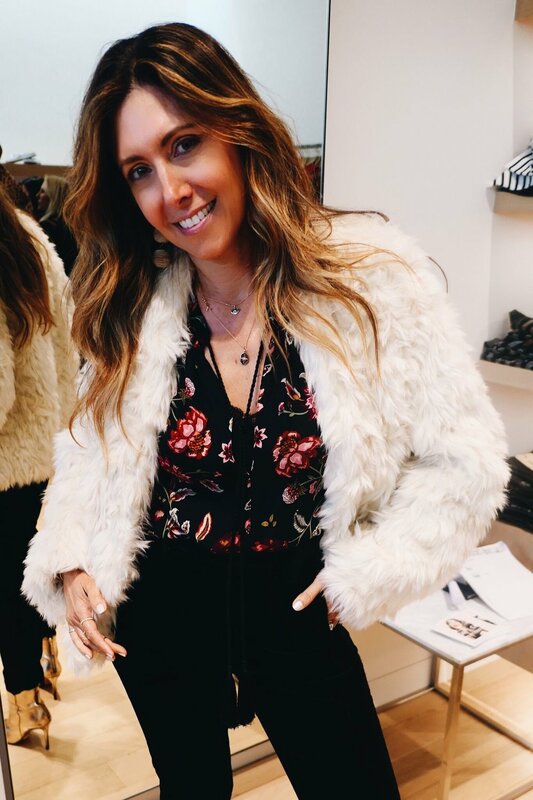 This season, I bought THREE new faux fur jackets and have been wearing them all winter long to stay warm and fashionable for those colder winter days and nights! Read on to see how I styled these versatile coats that can be worn with just about everything. Click on the images in the carousel below to shop! You can also find some more great faux furs here. Apparis Black Faux Fur Jacket. Jeans by FRAME. Tote by ClareV (sold out). Similar here. Boots by Timberland. Similar here. Click on the images in the carousel below to shop! You can also find some other great coats here. Jeans and t-shirt by RE/DONE, Boots by Schutz, Bag by Gucci. Earrings by Bauble Bar. More jewelry here. 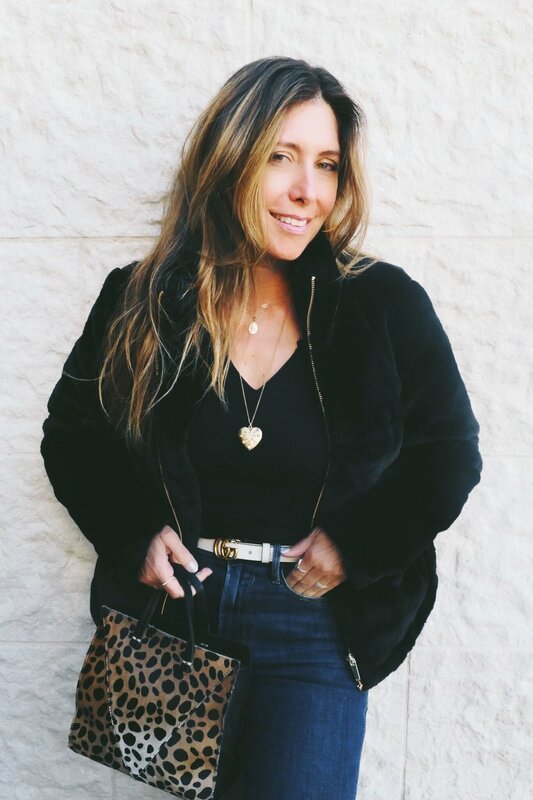 Rebecca Minkoff Leopard Faux Fur Jacket. More from Rebecca Minkoff here. Jacket by Vince. Blouse by ALC. Velvet pants on sale by FRAME. Boots by Schutz. More cute designer booties here. Evil eye necklace by Sydney Evan and starburst disc glow necklace by Melissa Meyers X LOOMA. Click on the images in the carousel below to shop! You can also find some leopard bags here. Gucci belt shown above in white. Vintage heart necklace by Sarah Hendler. See ideas for more accessories and jewelry here. Whether you are ready to ditch your old furs or just add some new fun faux furs to your wardrobe, now’s the perfect time to elevate your coat game while staying warm and chic all winter long!